As I wobble to my unwelcome couch. And slip into my answerless 'why's. Scrape for the passport of fate. 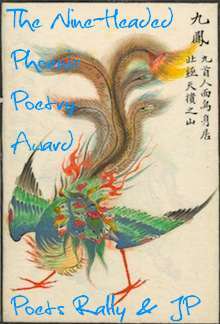 your poems are becoming shorter, more concise, adding more power and punch...kind of a knock out..loved the images and since i know the epicenter/genesis of this piece let me say you have done justice to them..
and you already have your PASSPORT to fate...if you know what i mean.. I like this poem very much, Abin,,,,,it is so real. Honest. Packs a punch, and I think is one many can feel. Oh yes, and life has so many answerless why's. "Drained off of dreams past expiration dates," these lines paint such a sad and real picture... loved the fast pace in the first verse, we all run towards something. I can feel the going-home-from-work fatigue......those dreams past expiration dates........and "scrape for the passport of fate" is brilliant. And slip into my answerless 'why's." - Wow! "passport of fate" - how awesome is that imagery? Just loved this piece. I felt like I was right there, skipping and leaping alongside. Beautiful. You have the knack of finding poetry in the every-day existence of living in the 21st century. So true in everyday life....you make the mundane quite interesting! Awesomely depressing, if that makes any sense. Both urgent and tired, such a masterful combination. You do find poetry in workaday life, and it's incredible. wow abin... so many feel this same gnawing sameness, stuckness in their lives... you've expressed it so well. Now that this narrator has come home to make and eat his humble pie, it's time to snap him out of it with some extravagant dessert! Good Poem. 'and tackle a few shoulders' had me paying close attention. ...unwelcome couch. hmm definitely contradictions here - Seems to memory of a desire to change is still minutely there - but barely. Damn, I still want a book of your work.